Explore the oldest cemetery in New Orleans with an expert guide on a 90-minute walking tour! Learn about the fascinating stories of the famous residents who rest in the St. Louis Cemetery and the above-ground interment rituals. 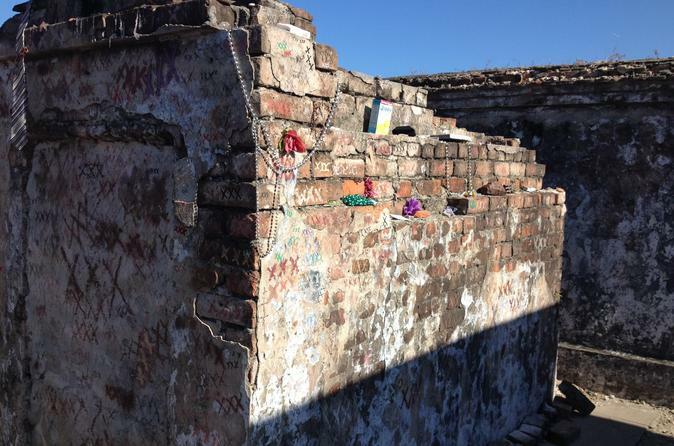 This small-group tour makes the whole experience more enjoyable and gives you some insight into Treme, the culturally-rich old New Orleans neighborhood that has been home to this "city of the dead" since 1789. The guide sends you a text message the night before the tour so you will know who to look for and have their contact information. Meet your guide at a great local coffeehouse on North Rampart Street along the Rampart-St. Claude streetcar line. The tour concludes at Basin Street Station visitors center, where you can cool off, rest, check out the displays and film, and ask about New Orleans history, culture, and things to do. After this tour, you will have a deeper understanding of what makes New Orleans special as well as some amazing photographs to show to your friends.